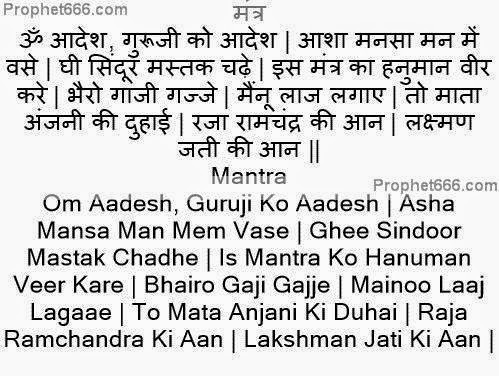 This is one of those special Hindu Shabar Mantras, which infuse a special Tilak in order to win and score over rivals in any scholarly debate, including philosophical, religious, spiritual or paranormal discourse and discussions. In Hindi, this Shabar Mantra experiment is known as the शास्त्रार्थ मंत्र प्रयोग – Shastrarth Mantra Prayog. Given below in the easy procedure to Master the Shabar Mantra and use it for actual practice. The Mantra can be Mastered by chanting it 10,000 times in as few days as possible. A Rudraksha Beads Counting Mala is recommended for this Mantra Experiment. After this, for actual use, in order to influence a discourse and come on top, a mixture of Pure Cow Ghee [Pure unadulterated clarified butter of a cow] and Sindoor [vermilion] have to be mixed in equal parts to prepare the Tilak paste. This paste has to be applied as a Tilak on the forehead which chanting the Mastered Shabar Mantra. The Mantra can also be classified as a kind of Vashikaran or Mohini Mantra. The Mantra can be of great use to students, religious preachers, philosophers and all those who engage in the kinds of scholarly discourses mentioned above.